... 1231 (780 years ago today), Elizabeth, daughter of the King of Hungary and widow of the regent of Thuringia, in what is now central Germany, died at age 24. She'd been betrothed as a very young child, married at age 14, and, by the 20th year of life, had borne 3 children. After the birth of the last child, she learned that her husband had died of illness while taking part in a crusade. 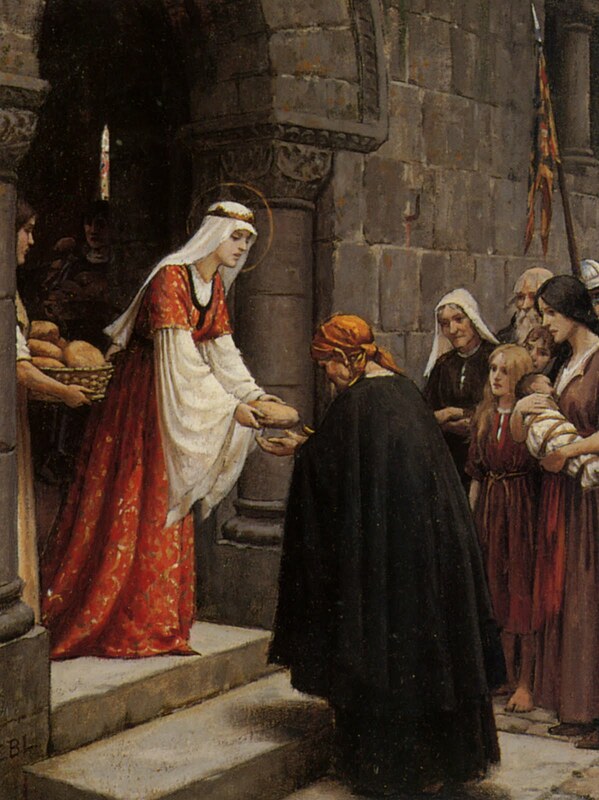 A year later, in 1228, Elizabeth -- who, as a devotee of the teachings of St. Francis of Assisi was already active in alms-giving and other charitable work (image credit) -- renounced worldly possessions, founded a Franciscan hospital, and nursed the sick till her own death. She was canonized a saint of the Roman Catholic Church in 1235.